Mukesh Panwar - Mountain Paradise. RECOMMEND Me Now. Mukesh has solid technical knowledge about mountaineering and Himalayas. This coupled with his excellent personality- very jovial, friendly, made my experience on EBC very meomrable. You would feel very safe with him around. He is very good in mountaineering and handles everything so very good ! I have also been to some more treks after Kanamo and he is a wonderful climber, person and dependable in any circumstances and knows mountains very well !! Can’t wait to go for more treks with him !! I'd been to Brahmatal with a group led by Mukesh Pawar on January 2017. Not only is he a great leader for big groups on mountains, his experience in the outdoors makes him a valuable teacher who has immense knowledge up his sleeve all the time. Mukesh Panwar is an expert in trekking the himalayas. 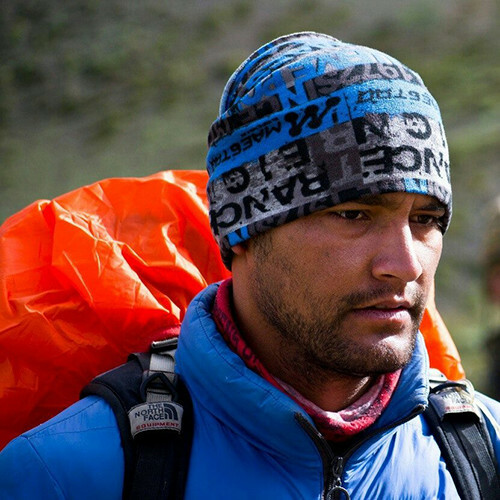 He has managed operations as well as guided treks across the Indian Himalayas. He has his own independent business called Mountain Paradise, which is based in Uttarkashi. Born and brought up in the mountains, he is a mountain kid who loves the mountains and is familiar with its ways. Mukesh has done the Basic Mountaineering, Advanced Mountaineering, Search and Rescue, Methods of Instruction courses from Nehru Institute of Mountaineering. Mukesh is also certified in Skiing, he is a snow skiing instructor at Auli and Dayara Bugyal. He has completed his basic, Intermediate and advanced skiing courses from GMVN Auli. Mukesh is also a bird watching guide and he guides people during the Uttarakhand Tourism’s Bird Festivals. To help him as a bird guide, he completed the nature guide course from Uttarakhand tourism, which is about birds as well as the local flora and fauna. Mukesh has worked with reputed companies in India, he has also been an instructor for Adventure courses in the Nehru Institute Of Mountaineering. Mukesh’s favourite trek is the Gaumukh Tapovan trek. Cricket is Mukesh’s favourite sports.